Posted March 27, 2019 by Emily Fromm & filed under Memorials. In memory of sweet Max, who was loved by so many and will be missed by all. Posted February 28, 2019 by Emily Fromm & filed under Disaster. During January’s polar vortex, temperatures in some parts of the country hit minus-30 degrees. 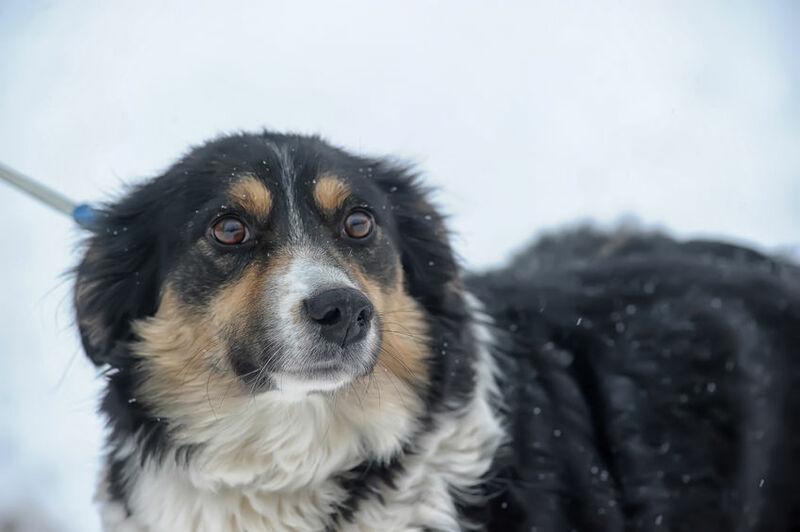 In such extreme temperatures, shelters pets are incredibly vulnerable. 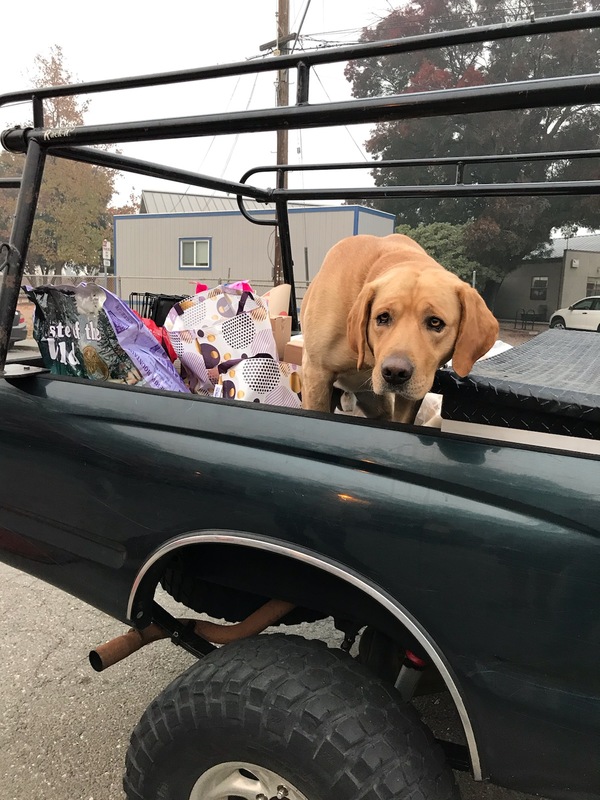 That’s why the Petfinder Foundation is introducing Winter Warming Grants (and, later, Summer Cooling Grants) as part of our longstanding Disaster Preparedness and Relief Program. 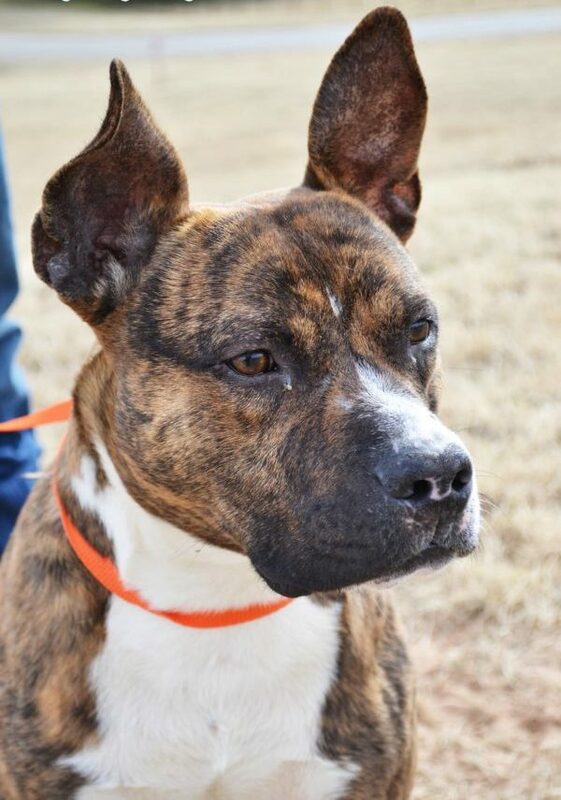 Our Disaster Grant helped the dogs at Oklahoma’s Perkins Animal Control. “Our shelter is partially open-air,” said Animal Welfare Supervisor Colleen Crummy. 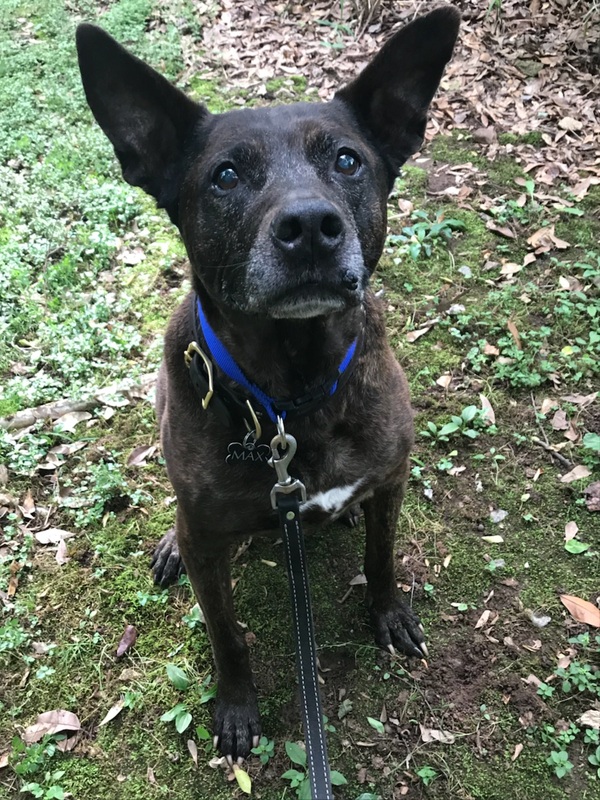 “In the worst of winter, our aging heating system could not even keep the shelter above freezing, and the dogs’ water would be frozen.” With our grant, the shelter purchased infrared heaters and had outlets installed to power them. Our grant kept Cody warm all winter. Diddy was abandoned during a polar vortex. 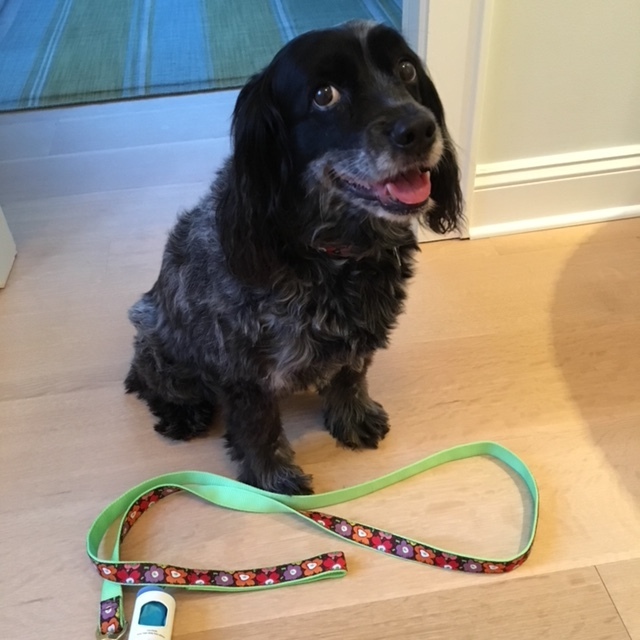 Another dog who benefited from a Petfinder Foundation grant was Diddy (pictured above). 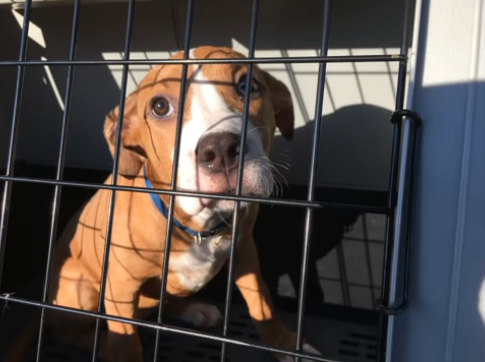 The 11-month-old boxer mix was abandoned in Illinois during a polar vortex and left in the cold to fend for himself until a good Samaritan took him to Hope Animal Rescues. Unfortunately, the shelter’s pipes were damaged by the extreme cold, and it lost heat and running water. 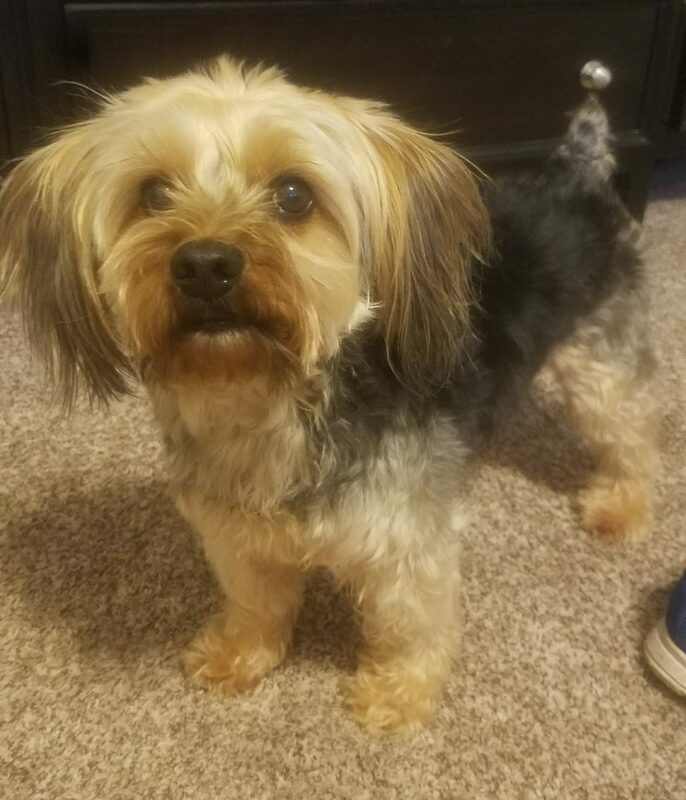 Our grant paid for repairs and insulation so the pipes will never freeze again, and the shelter was again livable for pets like Diddy, who’s since been adopted. We don’t expect to see the end of extreme heat and cold any time soon, so these severe-weather grants are now a permanent part of our Disaster program. Your donation to our Disaster Fund will help us save lives. Posted February 28, 2019 by Emily Fromm & filed under Memorials. Posted December 31, 2018 by Emily Fromm & filed under Grants. There are always some that make us smile, or laugh, or say, “wow!” And I wanted to share those with you. So here you’ll find our favorites from 2018, all featuring pets helped by your donations. 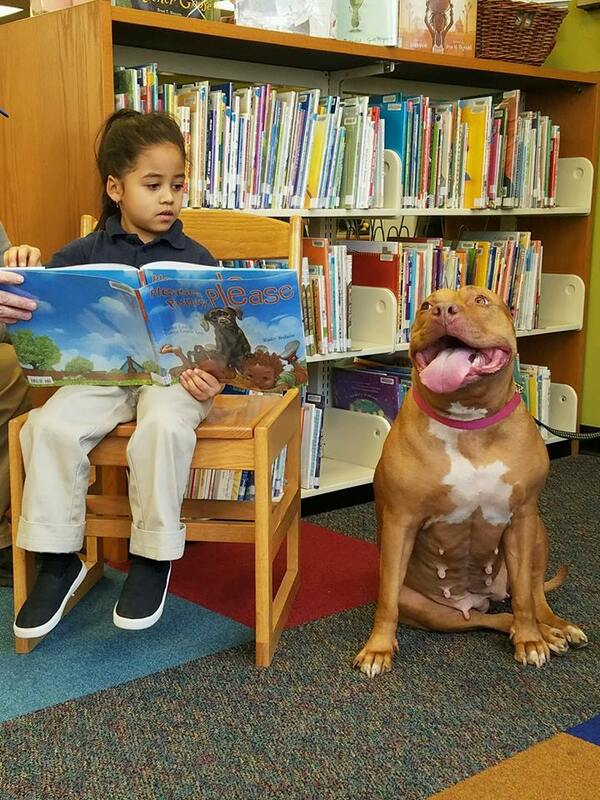 An adoptable pit bull at Associated Humane Societes in Newark, N.J., Ginger (pictured above) arrived at the shelter fearful and anxious. The staff decided to make her the resident office dog to socialize her. She quickly came to love all people, and soon got a second job: She visits area libraries so children can practice reading to her. Her calm, sweet disposition mean she’s always a popular audience. We’ve heard of stray dogs joining humans on their runs, but cats? T-Bone was walking along a Colorado hiking trail when a man jogged by. The friendly cat joined him and ran along beside him for a couple of miles. 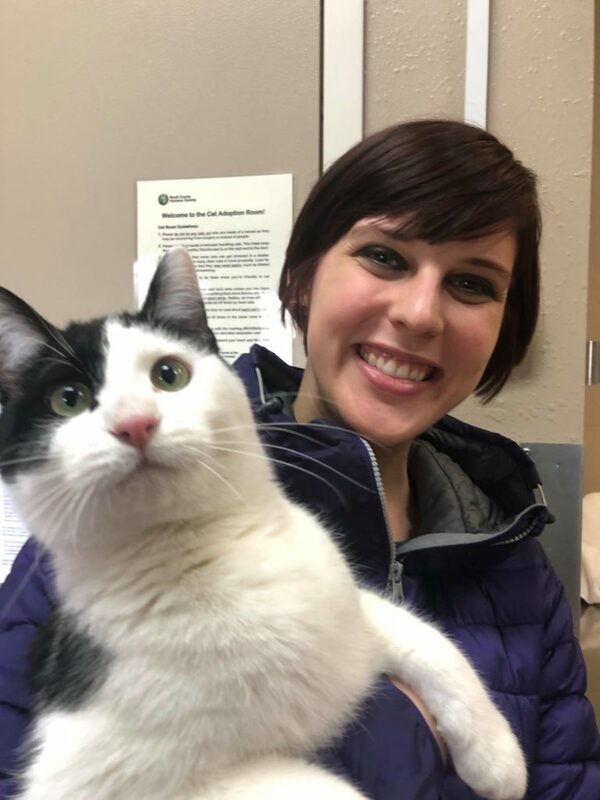 After the run, the jogger brought T-Bone to Colorado’s Routt County Humane Society, where a Petfinder Foundation grant helped him find a wonderful forever home. 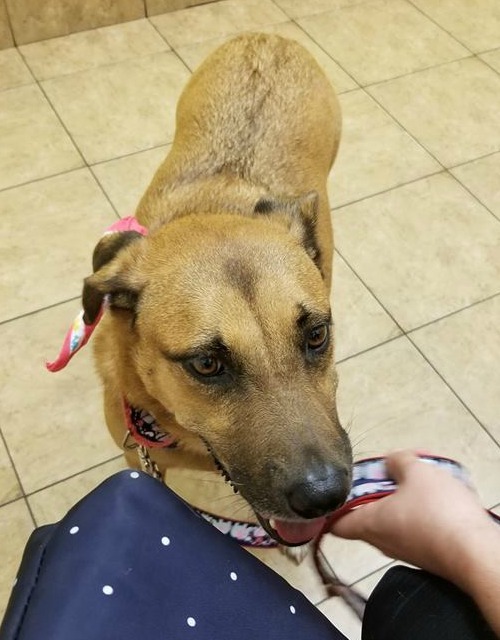 Fleeing Hawaii’s volcanic eruption in May, a dog named Bear and his owner were separated moments before they were to be rescued by helicopter. Despite many subsequent searches, Bear could not be found. After several weeks, volunteers hiked into the lava-flow zone and found him! He was much leaner, but in good spirits and happy for some company. 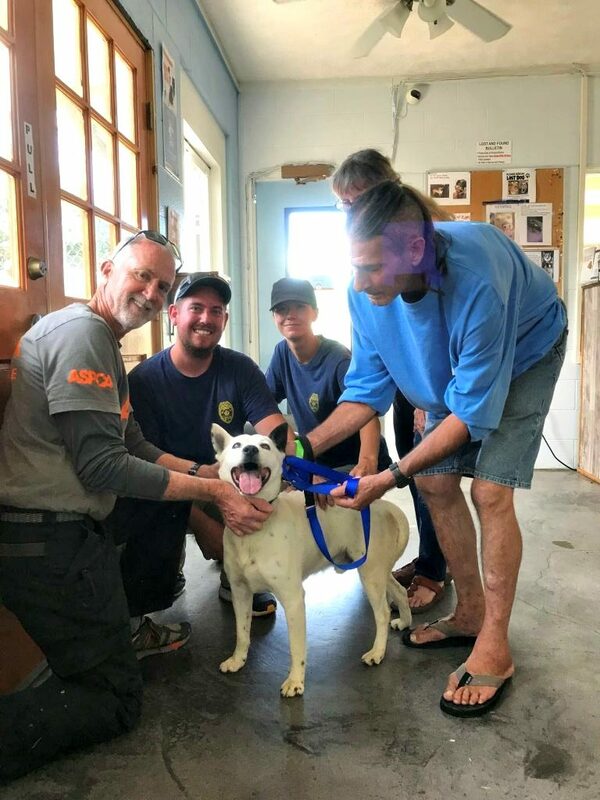 With help from our disaster grant, Hawaii Island Humane Society was able to rescue Bear (along with some cats, ducks and chickens) and reunite him with his owner. When Pom Pom was adopted after 2 1/2 years at Jersey Shore Animal Center, staff and volunteers cried tears of joy. Her adopter didn’t care that Pom Pom was 10 years old, had no teeth, and suffered from an autoimmune disease — she just wanted to rescue a cat who really needed a home. 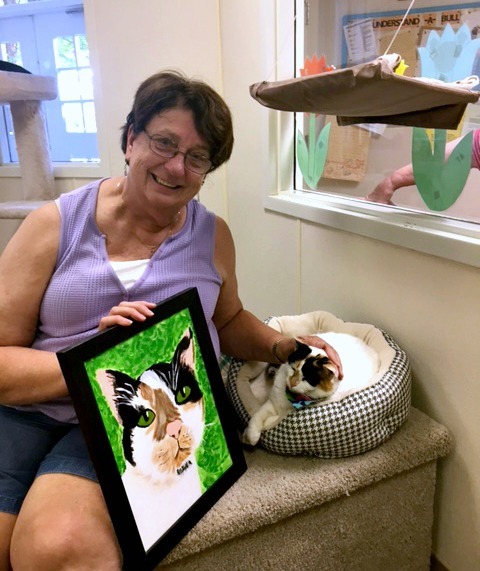 Sweet Pom Pom had been so beloved at the shelter that a volunteer painted a beautiful picture of her, which was presented to her adopter. Pom Pom is now being pampered in her forever home. Jackson lost both eyes as a result of dog fighting. 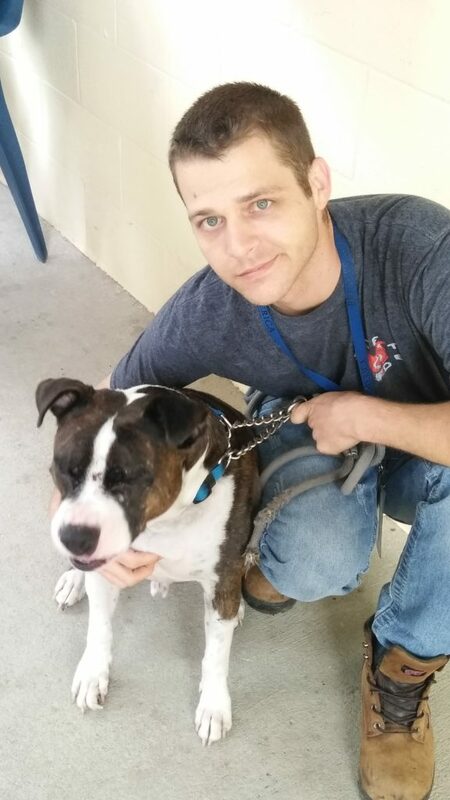 Florida’s Pit Sisters rescue took him into its TAILS (Teaching Animals and Inmates Life Skills) program and, when one particular inmate started training Jackson, they formed an instant bond. 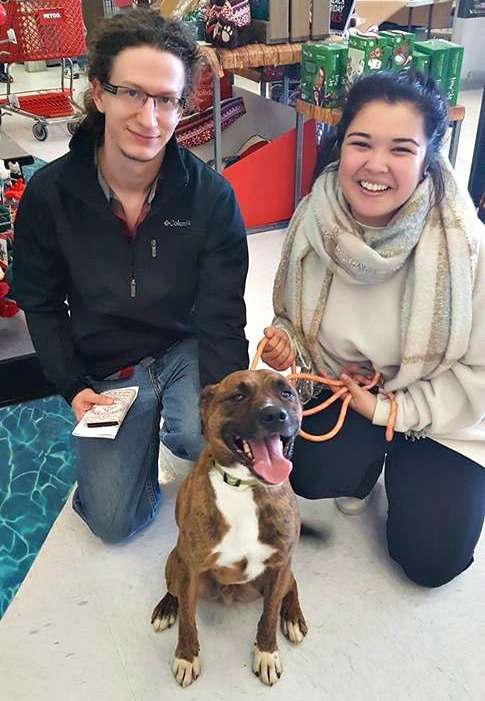 Thanks to a Petfinder Foundation grant, Jackson was able to go home with his new dad after graduation — the perfect second chapter for both. Casper would “attack” when anyone tried to open the door to his cage at Michigan’s Harbor Humane Society. So staffers decided to see how Casper would do in a different environment and put him into office foster. Within hours, Casper showed his true nature. He loved attention so much, staff took to calling him Caspuurrrr because of his loud purrs when he was pet. 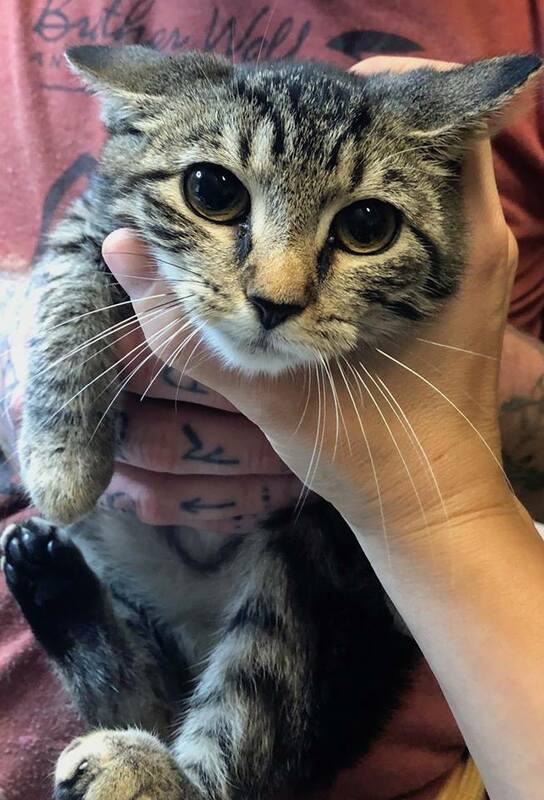 He soon went to a wonderful home with another long-term resident cat. 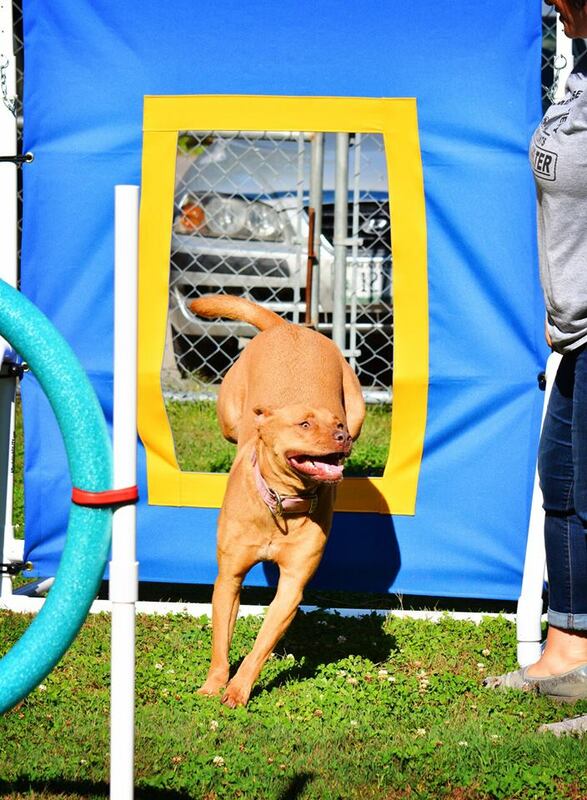 Somerset Humane Society in Maine used our grant to purchase agility equipment, which worked like a charm on a 2-year-old pit mix named Ginger. 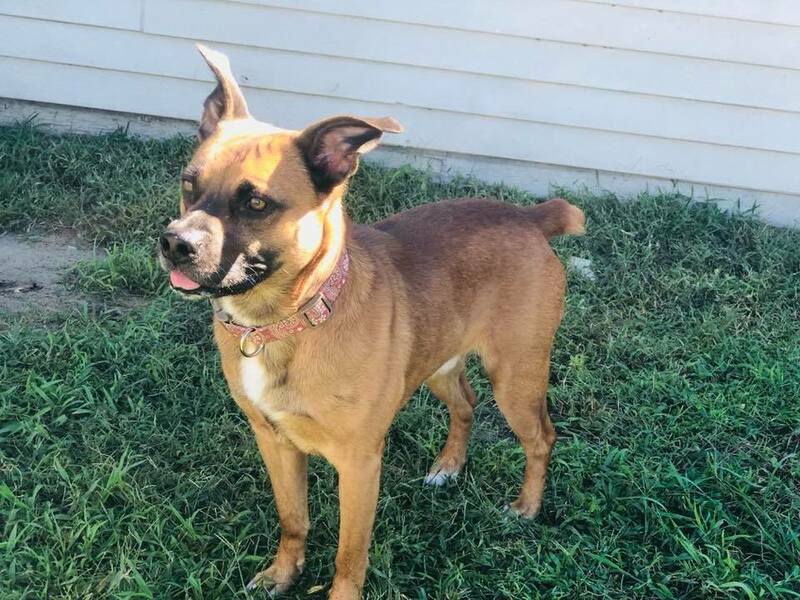 Ginger had been at the shelter for months, with no interest because she was so anxious in her kennel, barking and throwing herself at the kennel door. But the new agility equipment helped her use up her excess energy and focus on learning routines. 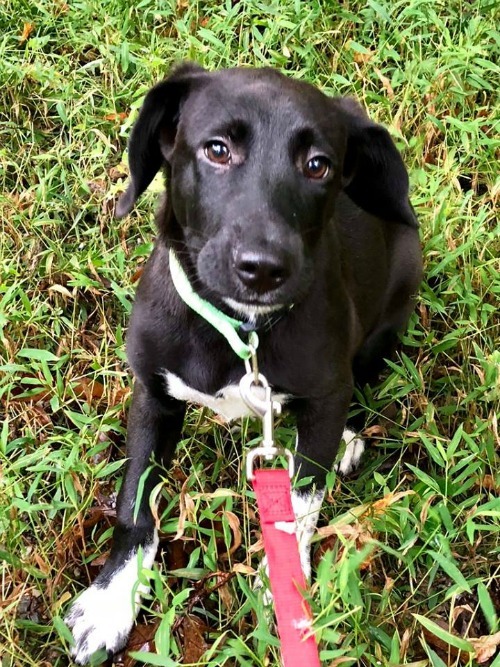 After the shelter posted Facebook photos of her doing her tricks, she was adopted within a week! As you know, these stories are only possible because of your support. Thank you so much from all of us at the Petfinder Foundation, and warmest wishes for 2019! Posted December 28, 2018 by Emily Fromm & filed under Disaster. 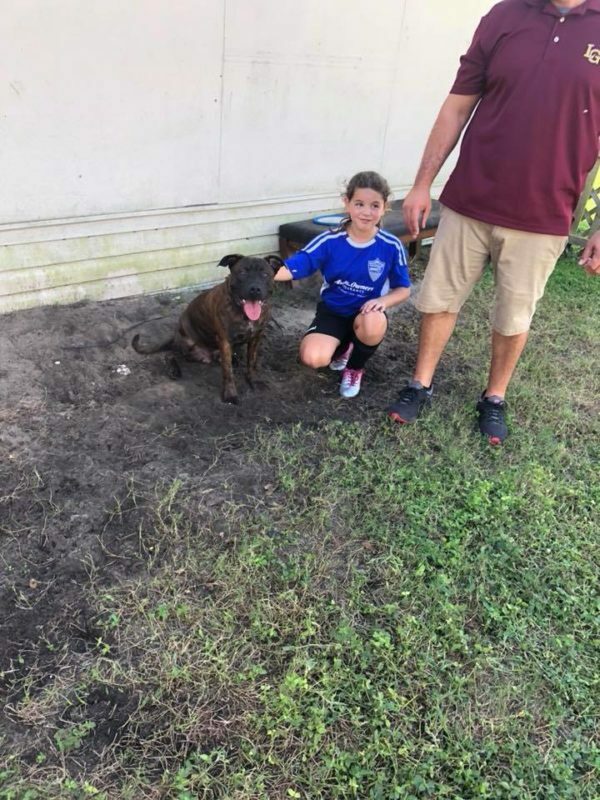 We’ve awarded a Disaster Grant of $750 to Oscar’s Cause in Dundee, Florida, to help care for pets it rescued from Hurricanes Michael and Florence. The grant funds will go directly to those three dogs, who needed to be completely vetted and cared for while awaiting forever homes. 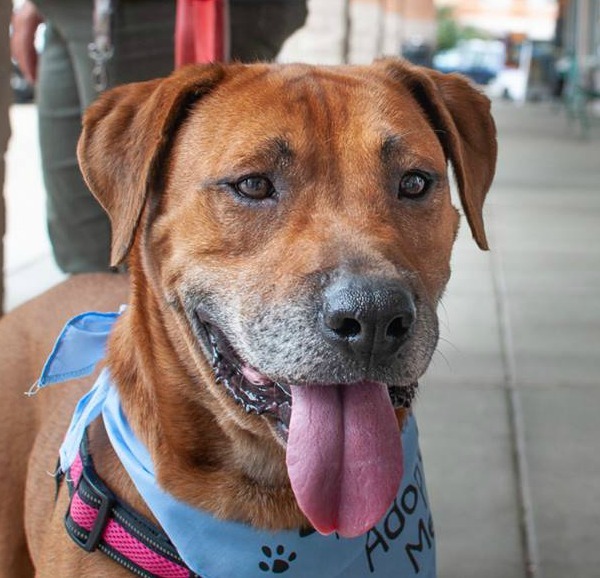 One of the three, Riley (pictured above), a 2- to 3-year-old boxer mix, has severe PTSD and anxiety from being crated inside his home as it collapsed during Hurricane Michael. Oscar’s Cause is working with local trainers to provide him support during his decompression time. The group expects him to be one of the more difficult adoption cases at its facility. Another dog, Rico (pictured below), approximately 11-month-old, 70-lb. male bulldog mix, has been adopted. Posted December 21, 2018 by Emily Fromm & filed under Grants. We asked the shelters and rescue groups that received grants from the Petfinder Foundation this year to send us their favorite rescued-pet transformations of 2018. Here are just a few of the submissions we received. Many of these images are graphic. But these are the realities that animal rescuers face on a daily basis. Thank you to the shelter staff and rescue-group volunteers who work around the clock to save these vulnerable pets. Your donation today can help change more pets’ lives. Posted November 21, 2018 by Emily Fromm & filed under Disaster. BHS has been working with regional partners to do everything it can to help its community’s pets and their owners. 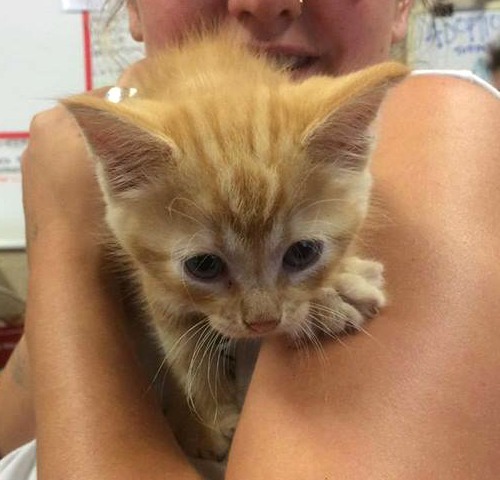 The first day of the fire, the shelter moved out all of its adoptable animals — either to emergency foster homes or shelters in safe zones — to open up needed space for evacuees’ pets and injured and stray animals from the impacted areas. Southern California is suffering from wildfires as well. As of Nov. 17 in Ventura and Los Angeles counties, the Woolsey Fire was 82% contained after burning 98,362 acres and displacing thousands of people and animals. 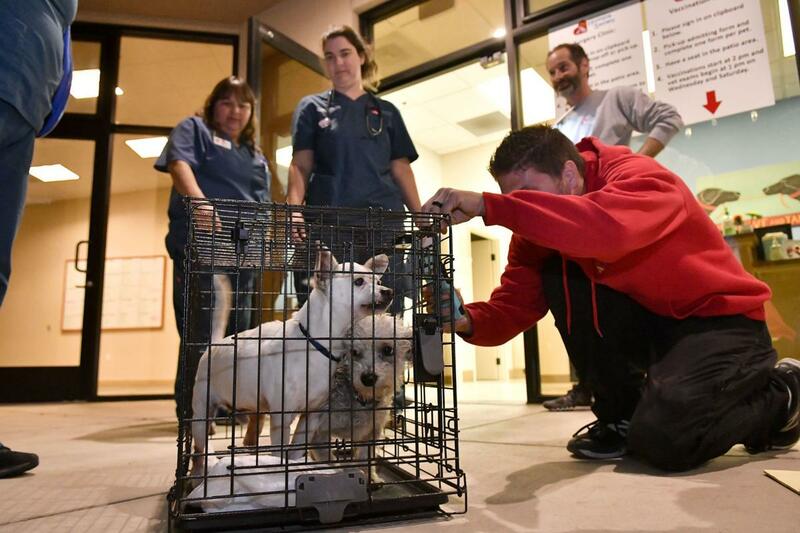 Santa Maria Valley Humane Society is providing care and safety to dogs and cats transferred from at-capacity shelters in the area. 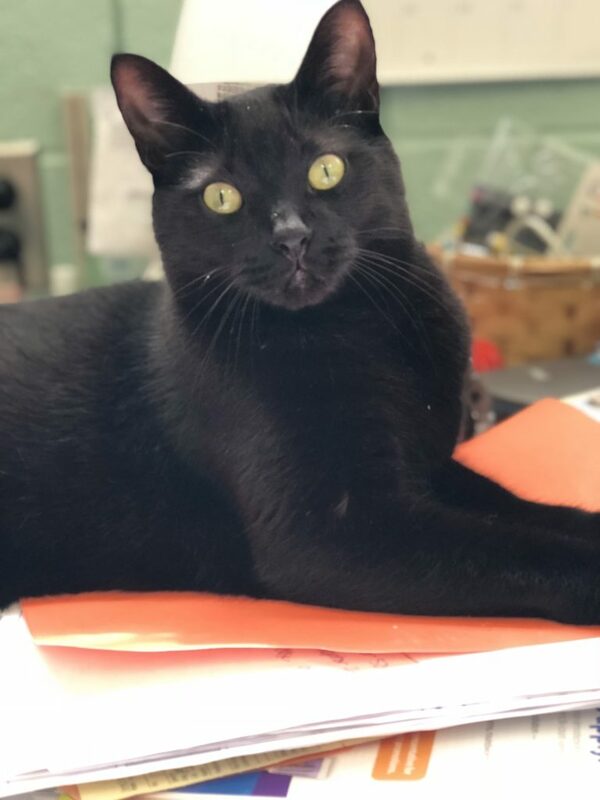 Our grant funds will be used for veterinary care of these animals, including specialized surgeries, spaying or neutering, vaccinations, and to help offset fee-waived adoptions to move these animals into homes as quickly as possible. 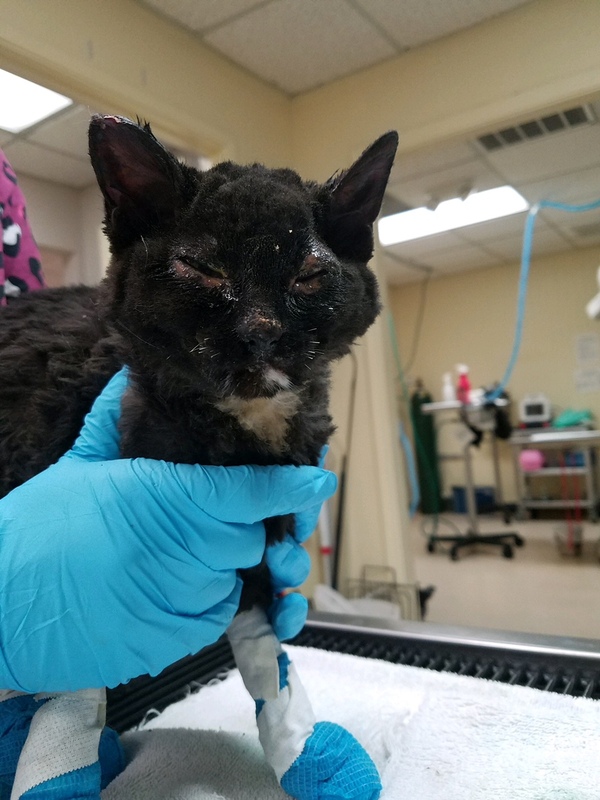 Our grant will help the Oxnard, CA-based rescue group care for cats displaced by the Woolsey and Hill Fires in Ventura and Los Angeles Counties. 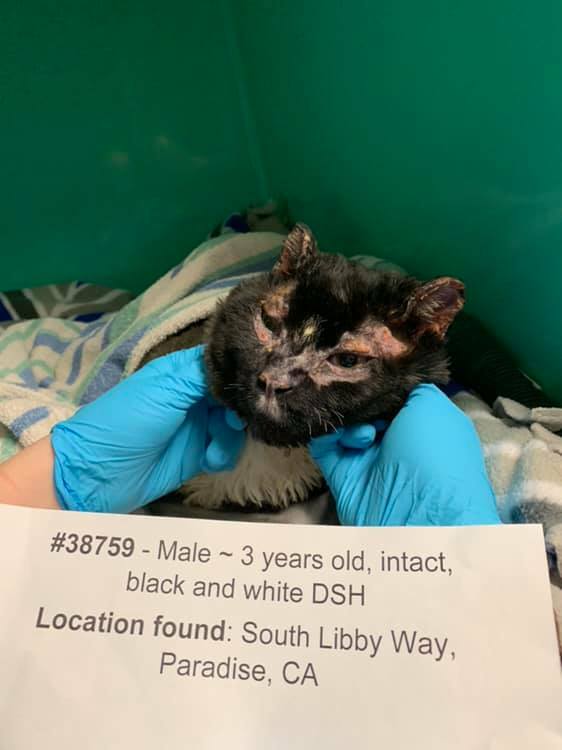 The group is also pulling “less-adoptable” cats from local shelters including Ventura County Animal Services and Humane Society of Ventura. 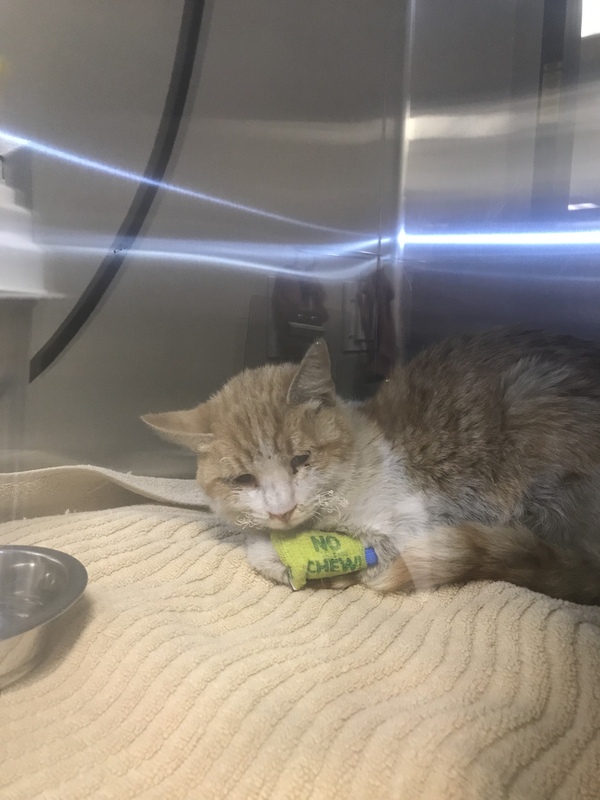 The Petfinder Foundation’s Disaster Grant will help fund emergency medical care for injured cats and supplies for foster parents keeping displaced cats safe and healthy until they can be in a more permanent location. Posted October 9, 2018 by Emily Fromm & filed under Memorials. Posted October 4, 2018 by Emily Fromm & filed under Disaster, Grants. Posted September 21, 2018 by Emily Fromm & filed under Disaster, Grants. 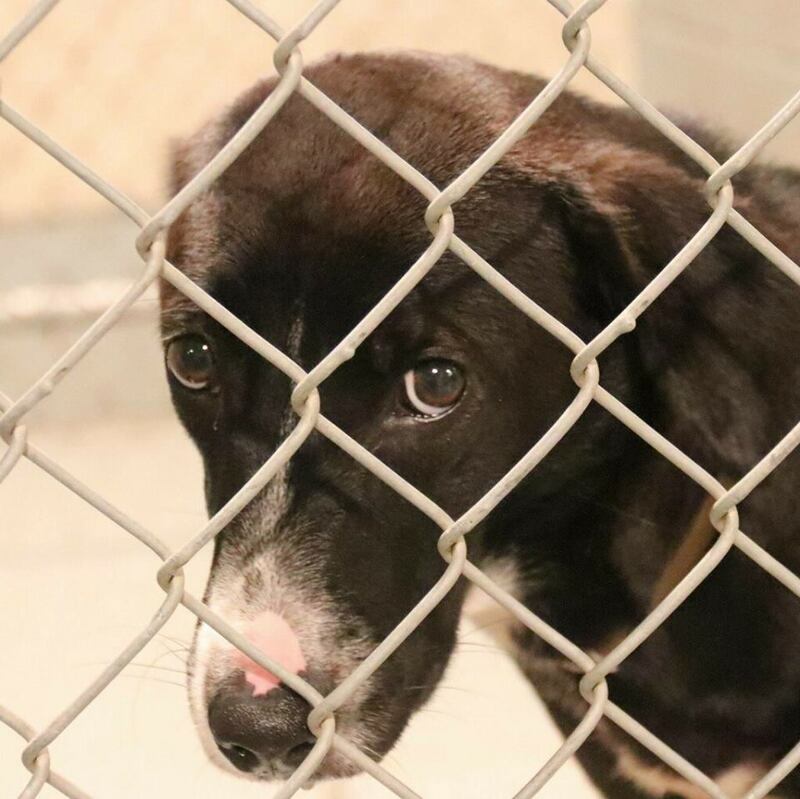 As the floodwaters from Hurricane Florence continue to rise, we’re helping adoption groups that are rescuing abandoned animals and evacuating adoptable pets from local shelters to make room for flood victims. We’ve sent a Disaster Grant to Brother Wolf Animal Rescue in Asheville, N.C., whose Rapid Response team is running search-and-rescue efforts in flooded areas. “It’s not uncommon to find dogs on chains neck-deep in water, community cats in trees, and animals who are ill, injured, or severely malnourished and dehydrated from surviving for days without food or fresh water,” Brother Wolf’s Andee Bingham tells us. 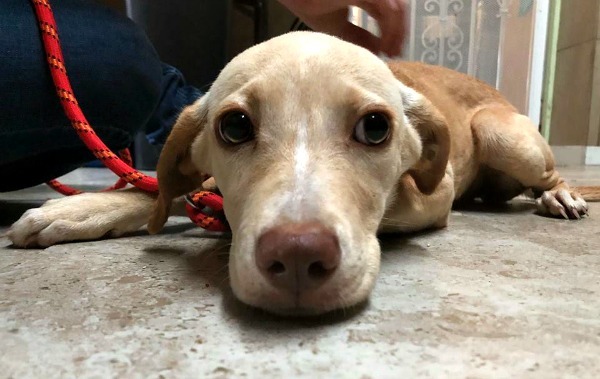 We’ve also rushed funds to Operation Paws for Homes in Alexandria, Va., which transported animals from rural North and South Carolina shelters in Florence’s path. “Many have only outdoor kennels that offer little protection from the elements,” says OPH volunteer Mark Conners. 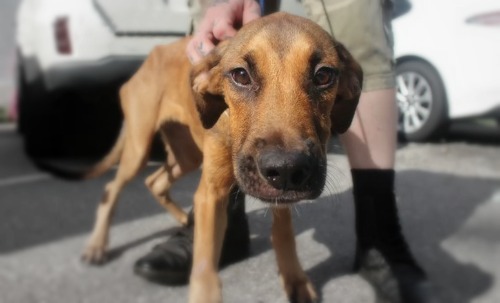 The pets are now in loving foster homes and receiving necessary veterinary care. This dog is safe with JerseyGirls. These grants are just the beginning of what we expect to be weeks of rescue and recovery efforts. We are continuing to reach out to shelters and rescue groups to provide whatever assistance is needed. Your donation to our Disaster Fund will help the animal victims of Hurricane Florence.